It impacts everything we can see, touch, smell and taste. 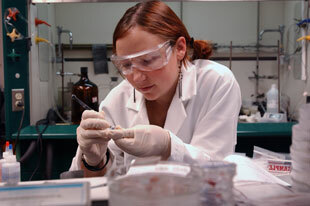 The programs of the Department will prepare you to understand,investigate and apply the principles of chemistry to a wide variety of careers from the study of the environment, to solving criminal cases, to working in a chemically related business, to using chemistry to understand biological systems and processes, to preparing for a career as a research chemist. For those wishing to prepare for advanced study in chemistry we offer both Master's and Doctoral Programs in all major fields of Chemistry. Please Note: Change of Webmaster for Chemistry Department Website: as of the end of February 2019 Professor Qingfeng Ge will take over responsibility as webmaster for the Department website. The Department offers weekly seminars by faculty from departments throughout the United States and beyond describing the latest advances in their fields. Departmental Seminars are held in the Van Lente Auditorium (Neckers 240) at 4:00 pm unless otherwise indicated below. Abstract: Magnetic resonance is an indispensable tool for diverse science, ranging from the most fundamental spin physics and chemistry, probed by NMR spectroscopy, to everyday clinical imaging performed by MRI. However, magnetic resonance signals and the required nuclear spin polarization remain weak even in magnetic fields of superconducting magnets. Only about 1 in 100,000 spins aligns with the magnetic field. Accordingly, NMR and MRI are cherished for their molecular specificity and contrast rich images, but suffer from very low sensitivity. To overcome this limitation, we develop hyperpolarization chemistry using para-hydrogen as the quantum mechanical source of spin order to align much larger fractions of spins. NMR and MRI signals are enhanced by up to six orders of magnitude breaking current sensitivity limits. Fundamental spin physics, chemical design and engineering efforts are combined to make hyperpolarization chemistry ubiquitously practical. Specifically, our efforts are geared towards portable NMR devices for metabolic screening, elucidation of biostructures and dynamics at physiological concentrations, as well as in vivo molecular imaging of metabolic pathways. We are pleased to report that the REU program in materials at SIUC has been funded by the NSF for another three year cycle. Professor Keith Gagnon, on being awarded an NIH R15 grant on the Nuclear Surveillance of Disease-Associated C9ORF72 Expanded Tandem Repeat RNA. Professor James E. House,a member of the Departmental Hall of Fame, was recently notified that the first volume in the series, "Developments in Physical and Theoretical Chemistry" of which he is the series editor, won the 2019 PROSE Award in the Chemistry and Physics Category from the American Association of Publishers. 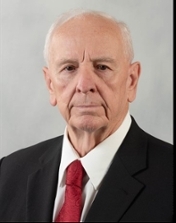 Professor Gary Kinsel for receiving $4,900 from the SIU Alumni Association for AY 19-20 UGRA's. With Department match-up it will allow us to engage 4 full-time UG's to do research in our labs. Professor Boyd Goodson who was selected for the COS Scholar Excellence Award. Also recognized was Professor Sally Potter-McIntyre of Geology who received the COS Early Career Excellence Award. Professor Zhihua Du and his co-PI, Professor Xiaolan Huang, Department of Computer Science, on being awarded an NIH R15 grant titled "Structures and Catalytic Mechanisms of Cas13b and potentially related Cas9 Endonucleases. Professor Qingfeng Ge on being chosen for the 2018 Midwest Award of the Midwest Region of the American Chemical Society. The award will be presented at the Midwest Regional Meeting at Iowa State University October 21-23, 2018. Professor Boyd Goodson and Professor Saikat Talapatra on the award of a three year NSF grant titled "REU Site in Interdisciplinary Materials Research"
Professor Boyd Goodson is co-PI on an NIH_R21 grant approved by NIH. His co-PI is Professor Eduard Chekmenev at Vanderbilt University and there are several Russian Collaborators.